Conor McGregor may have taken a loss on his record Saturday night when he fell by submission to Nate Diaz, but he took a chance virtually no other champion has been willing to take by moving up a weight class for a stiffer challenge. 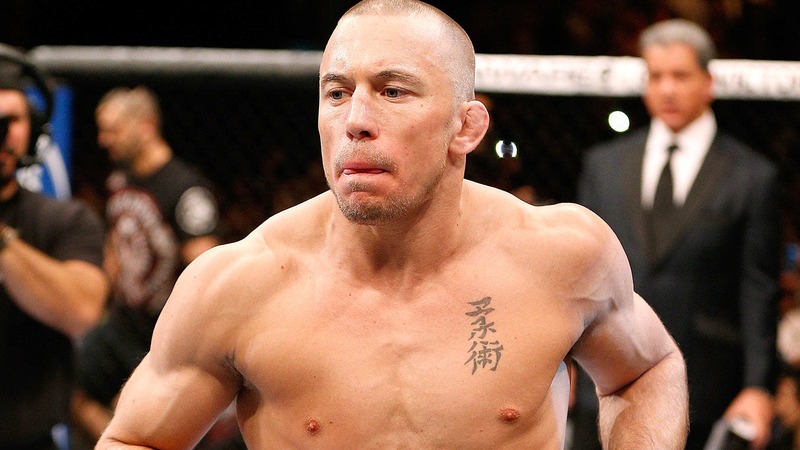 And that includes former welterweight champion Georges St-Pierre. As devastating as it seems on the surface that McGregor suffered a loss to Diaz, UFC president Dana White says taking the chance to fight two weight classes higher is just part of what makes the Irishman so appealing to work with as a promoter. White says McGregor was willing to fight two divisions higher, which is something they could never get St-Pierre to do no matter how many times they offered him a matchup with former middleweight champion Anderson Silva. You know how many times we wanted to do the GSP-Anderson Silva fight? GSP would not do it. Would not do it. Guys don’t do that stuff. That’s what makes Conor McGregor so unique, so fascinating and so fun. "That’s the thing — nobody wants to do it. GSP would never move up to 185 to fight Anderson Silva. He wouldn’t do it," White said when speaking to Russillo and Kanell on Tuesday. "That’s what makes Saturday so fun. You know how many times we wanted to do the GSP-Anderson Silva fight? GSP would not do it. Would not do it. Guys don’t do that stuff. That’s what makes Conor McGregor so unique, so fascinating and so fun. "For GSP he was moving up one weight class. Conor McGregor jumped up two weight classes." White explained that when McGregor’s original opponent fell out due to injury, he never hesitated to take another opponent and it was actually his idea to face Diaz at welterweight. In the end, McGregor suffered a loss, but White has nothing but praise for his willingness to take the toughest challenges possible and stepping up to save a card when disaster struck less than two weeks away from show time. "What happened Saturday night, Conor was supposed to go for a second world title at 155 pounds. Rafael dos Anjos, the guy he was supposed to fight, broke his foot and pulled out of the fight 10 days before so Conor said ‘let’s fight Nate Diaz at 170’. We’re like what? He goes ‘yeah I want to fight him’. So we call Nate Diaz and we ended up making that fight," White explained. 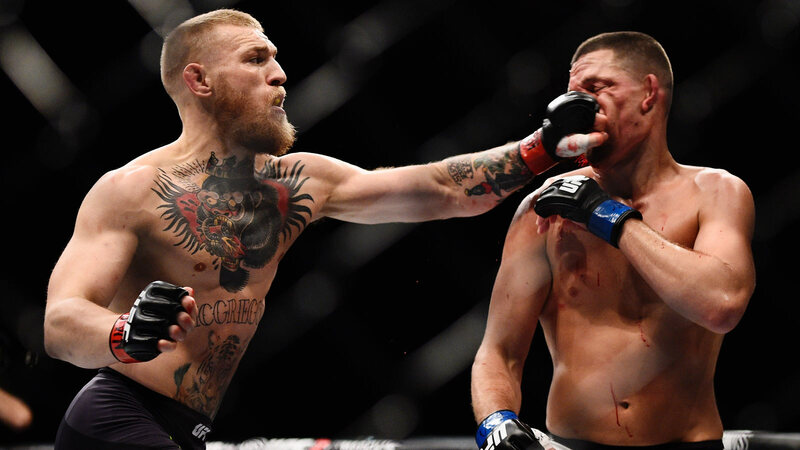 "Conor McGregor is so much fun in the fight business. Guys don’t do that. Guys who are making the money that Conor McGregor makes, has the money in the bank, and all the things that are going on with him, he has a world title, he just decides to jump up two weight classes and fight somebody else." McGregor was obviously sullen following the loss to Diaz last Saturday, but he didn’t get too far down in the dumps before immediately shifting his attention back to the featherweight division. McGregor is still the 145-pound champion and he’s targeting a return date against either Jose Aldo or Frankie Edgar with the belt on the line. White says he’s already been talking to McGregor about what comes next and he hopes to have something completed in the near future. "I was at his house last night talking to him," White said. "He wants to fight again as soon as possible. He wants to jump back in there and he wants to fight again. "We’re working on who the next opponent will be."